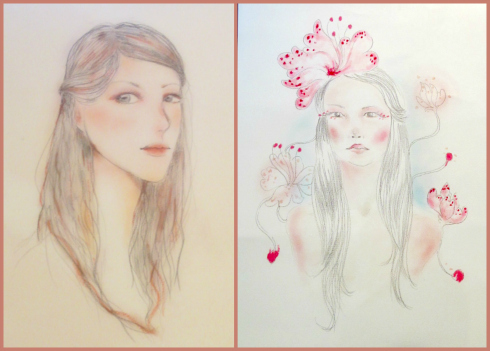 Ob is a Japanese artist and the young creator of her generation. 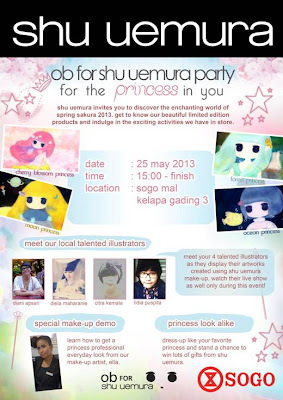 She created a unique design of 4 princesses to be applied on shu uemura products as a limited edition packaging. If you don't know, shu uemura usually released a special or limited edition series every once in a while, and OB is their newest collection series. The design is super pretty and cute! Discover this magical landscape and create a new you – someone you’ve never imagined yourself to be – with a line-up of gorgeous Shu Uemura products intricately wrapped in the beauty of spring and the sensitivity of a new generation. a world that showcases the emerging vision of a generation of creators who came of age in a radical new digital world." I got to dress up as "Forest Princess". 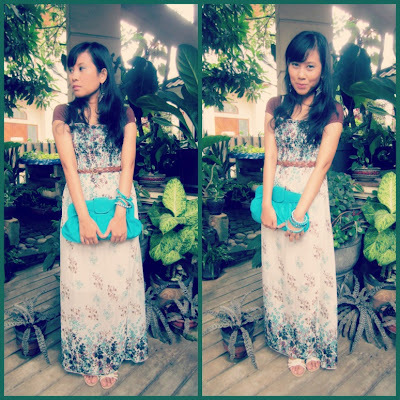 My inspiration was the green color and the forest theme so I wore my green maxi dress with branches of trees print on it ;p I also dressed up my eyes in green colors. Okay so basically there are four illustrators which are: Citra Kemala Putri, Lidia Puspita, Diela Maharanie, and Diani Apsari. 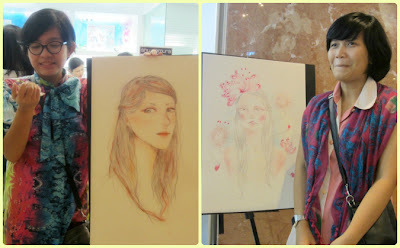 But at the event in Sogo Kelapa Gading (which I attended) there were only 2 of them (Citra and Lidia) who did a live show, displaying their talent in making beautiful illustrations inspired by the ob collection. Can you believe it if I told you that they both drew the pictures above using makeup from the shu uemura collection?? Amazing, right? They used lipsticks, eyeshadows, blush on, etc.. to make the illustrations above. I think it is such a unique concept. 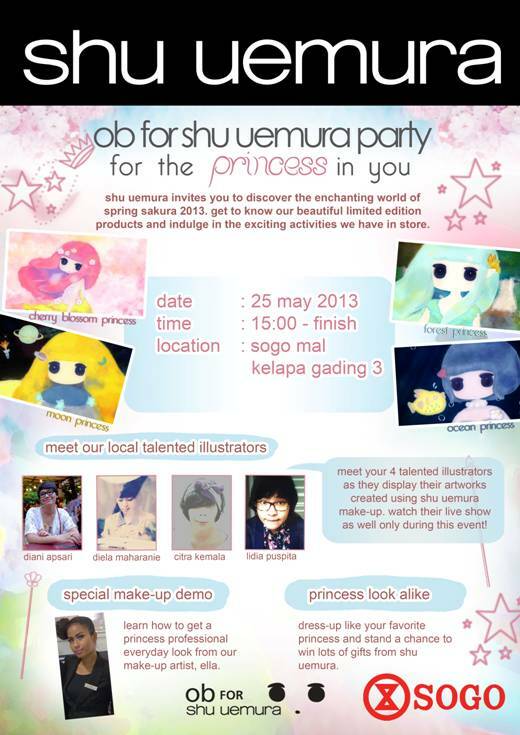 While the illustrators are doing a live show, there was also a live makeup demo by shu uemura make-up artist, Ms. Ella. The make up she did on the model was soo pretty with bright spring colors. Very inspiring indeed. Thank you shu uemura for inviting us to the party. I had fun at the event and I gained so much inspirations too. 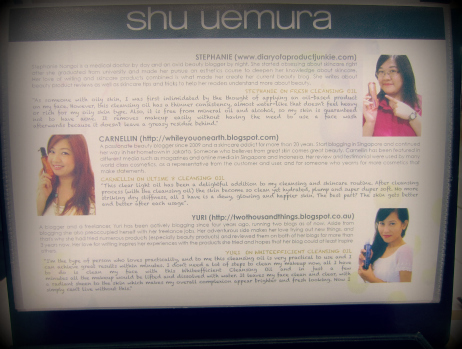 Did you remember my last project with Shu Uemura that I did a few months ago? 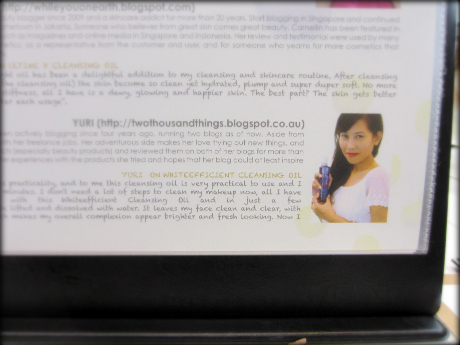 It's called "Which Cleansing Oil Are You?" 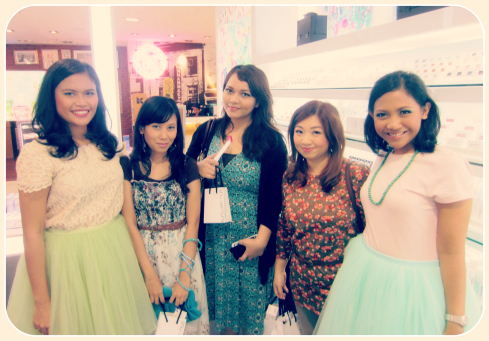 Thanks again for Shu Uemura for this lovely event. And happy weekend for you guyss... I hope you all would have a great weekend..